He loves to bike down the dirtiest trails. 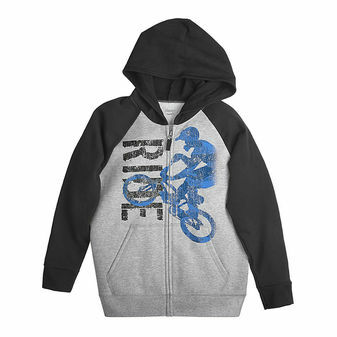 You love a hoodie that keeps him warm and fights off odor. FreshIQ™ advanced odor protection technology attacks the odor-causing bacteria in his clothing that causes his clothes to smell ?